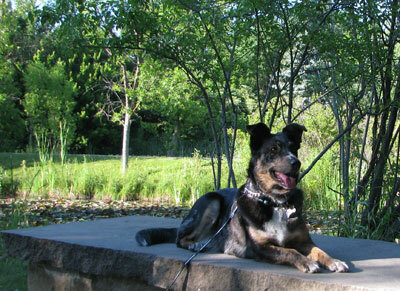 Blue Heeler/Border Collie, Maggie, shares her life as a animal shelter rescued pet. A Dog’s Eye View Dog Blog and the BestDogBlog.com are sad to report that our beloved dog, Maggie, became terribly sick and died suddenly. Even though our veterinarian and the emergency animal hospital tried their best with numerous tests and medical support, Maggie could not be saved. For those of you who have lost a dog to death, I know you can relate. The loss is like grieving a family member. Five and a half year old Maggie was our only living pet, and truly a member of our family. She was always with us in the house. When we came through the door, she was there to greet us. When strangers knocked at door, she alerted us. When one of us was home alone, we weren’t really alone, she was our loyal companion. We have been through the death of a pet before. Our adopted Australian Shepherd, Scout, died at age 14. We survived that loss by searching and finding our rescue dog, Maggie. She wasn’t a replacement for Scout, but she filled a hole in our family, and in our hearts. We are definitely dog people, we need a dog in our house. Our house is just not a home without a dog. It was so painful to see our dog get sick. Not knowing what made her so ill was driving us crazy. We were questioning everything – how did she get so sick so quickly? This made us paranoid and nervous to get another dog. We couldn’t stand to go through this again – losing a dog to death. It was just too agonizing. But we needed to fill that void, that paw print on our heart was digging deeper and deeper. So once again we began a search. We knew it would be best to find another rescue dog, but we did want to make sure we would be the best match for a dog in need of a forever home. We now have a one year old granddaughter which required we find a dog that would be gentle. We searched around locally, but the dog that was the perfect fit for our family was not to be found. Maybe the loss of Maggie was too fresh on our minds. We continued to search. We even played with some dogs, which brought a temporary smile to our face. I will always remember while visiting our vet after Maggie died, everyone was very comforting. I told them about our search and said that we just were not finding the perfect fit for our family. One of the staff, Margaret, said to us “your perfect dog will find you”. She was so right. We have found the perfect match for our family. We call her our miracle dog. We will soon introduce to you our adopted rescue dog, and the newest member of our family and dog blog canine contributor Blue Belle. Stay tuned. She is an amazing dog. We still have moments of sadness, missing our best friend Maggie. 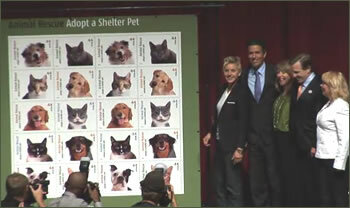 But we have once again found a way to heal our broken hearts, and move forward with our life one paw print at a time. It wasn’t easy being a dog on the run. But one day, when life was oh so rough, somebody came to my rescue. I must have been quite a sight and in some human’s estimation a bit too much to handle. Thankfully, people who truly cared didn’t give up on me. In fact, I was taken to live with guys who actually dwell behind bars. Yes, they call these men prisoners, or inmates. They live in the "big house". They gave me the attention I needed, taught me some dog gone manners. And before I knew it, they considered me rehabilitated. One day the men who live behind the great big high razor topped fence told me it was time for me to go. A nice family came and picked me up. They knew all about dogs and forever homes and knew I had some ruff stuff baggage to deal with. My new friends had this look in their eyes like they needed me, so I decided to "rescue" them. I got to ride in their car and went to live in their house. It was a new experience being a member of a real family, and I had so many things to learn. But now I am happy to report that this inmate trained pup is doing great. Thanks to the prisoners who trained me, and the rescue shelter that saved me (Second Chance Animal Shelter), I am experiencing a happy and healthy life – Yes It’s a Dog’s Life – and it’s GREAT!. 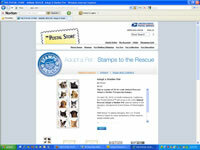 We are excited to see our Rescue Animal story featured in FidoandWino.com as R.O.A.R. Squad members from the State of Idaho. The R.O.A.R. Squad (Rescue Owners are Rockin) is the ingenious idea of a lady named Shauna who lives in a great smelling country, our neighbor to the north, Canada. She has a couple lovable canines in her family, and has first hand experience in compassion for pets that have found themselves as outcasts in society, "throw aways". Shauna had this terrific idea to encourage humans to help us non-humans (some people call us pets) by inviting a rescue animal into your family and giving it a forever home. She created an awesome blog that features Rescue Owners and their rescued animals from every province in Canada and every state in the USA. We think that is DROOLIN COOL! 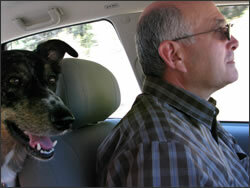 So wag your tail and jump on over to the FidoandWino Blog, say hello to Shauna, John, Mickey and Kayloo. While you’re at it check out the article about our family. Julie, Murry and Maggie – R.O.A.R. Squad Members from Idaho.